It looks like more of those chickens are coming hope to root upon the roost of the United Nations building. Written by real scientists? Real climate experts? Ummm….OK, if you say so. But read this first. One lead author of the 2001 edition was a trainee at the Munich Reinsurance Company in 2000 and lacked a master’s degree while on the panel. He did not earn a Ph.D. until ten years later. Another lead author in 1994 earned his master’s only two years earlier and had his first academic paper published in 1995. An Australian academic was an assistant author in 2001 and a lead author in 2007 — despite not earning her Ph.D. until 2009. Dutch geography professor Richard Klein has been a lead author for six IPCC reports and in 1997 became a coordinating lead author. He was promoted to the panel’s most senior role while he was 28 years old — six years prior to completing his PhD. Next time you read an article about global warming that states the computer models predicted something remember this article, which offers proof positive that the computer models used by so-called scientists to predicts unprecedented global warming are crap. When it comes to assigning blame for the current economic doldrums, the quants who build the complicated mathematic financial risk models, and the traders who rely on them, deserve their share of the blame. [See“A Formula For Economic Calamity” in the November 2011 issue]. But what if there were a way to come up with simpler models that perfectly reflected reality? And what if we had perfect financial data to plug into them? Incredibly, even under those utterly unrealizable conditions, we’d still get bad predictions from models. That’s right, even a computer model that is “perfect” isn’t worth the electricity used to run it. The problem is calibration. In a nutshell, take a “perfect” model and tweak it any and it is no longer going to predict anything correctly. The problem, of course, is that while these different versions of the model might all match the historical data, they would in general generate different predictions going forward–and sure enough, his calibrated model produced terrible predictions compared to the “reality” originally generated by the perfect model. Calibration–a standard procedure used by all modelers in all fields, including finance–had rendered a perfect model seriously flawed. Though taken aback, he continued his study, and found that having even tiny flaws in the model or the historical data made the situation far worse. “As far as I can tell, you’d have exactly the same situation with any model that has to be calibrated,” says Carter. Calibration, tweaking, adjusting, cheating, lying, stealing, or whatever you want to call it, produces crap. Crap financial models or crap climate models, it’s all the same crap. Note, to reiterate. it doesn’t matter if it agreed with past data, a process called hindcasting, which is a big line you hear from climate modelers, it still comes up with crap predictions! Getting one to agree with the weather in 1900 means nothing according to this article. The next time you read some horrific article about how global warming is going to make the sea-level rise, cause droughts, floods, and just about anything else you can name including 3-eyed cows and cooties, remember that the climate model used to predict it is crap. Perhaps it was even tweaked to arrive at a preconceived conclusion. Proof? The computer models used to predict tomorrow’s weather aren’t even right all the time. So, how can they predict what’s going to happen 20-30-100 years in the future? Read more details about this at Scientific American. A prominent economist opposed to global warming doomsaying publishes a rebuke to climate consensus, comparing scientific and economic consensus. The point is, it doesn’t matter what you are talking about, consensus is not always a good thing. It is being misused with climate science and can be misused in other areas to usurp control for nefarious purposes. One of the least challenged claims of global warming science is that carbon dioxide in the atmosphere is a “well-mixed gas.” A new scientific analysis not only debunks this assertion but also shows that standard climatology calculations, applicable only to temperature changes of the minor gas, carbon dioxide were fraudulently applied to the entire atmosphere to inflate alleged global temperature rises. Acceptance of the “well-mixed gas” concept is a key requirement for those who choose to believe in the so-called greenhouse gas effect. A rising group of skeptic scientists have put the “well-mixed gas” hypothesis under the microscope and shown it contradicts not only satellite data by also measurements obtained in standard laboratory experiments. Canadian climate scientist, Dr Tim Ball is a veteran critic of the “junk science” of the International Panel on Climate Change (IPCC) and no stranger to controversy. Dr. Ball and his colleagues appear to be winning converts with their hard-nosed re-examination of the standard myths of climate science and this latest issue is probably one of the easiest for non-scientists to comprehend. Indeed, even high school children are taught the basic fact that gravity causes objects heavier than air to fall to the ground. And that is precisely what CO2 is – this miniscule trace gas (just a very tiny 0.04% of atmosphere) is heavy and is soon down and out as shown by a simple school lab experiment. CO2: The Heavy Gas that Heats then Cools Faster! The same principle is applied to heat transfer, the Specific Heat (SH) of air is 1.0 and the SH of CO2 is 0.8 (heats and cools faster). Combining these properties allows for thermal mixing. Heavy CO2 warms faster and rises, as in a hot air balloon. It then rapidly cools and falls. It is only if we buy into the IPCC’s “well mixed gas” fallacy that climate extremists can then proceed to dupe us further with their next claim; that this so-called “well mixed” CO2 then acts as a “blanket” to “trap” the heat our planet receives from the sun. The cornerstone of the IPCC claims since 1988 is that “trapped” CO2 adds heat because it is a direct consequence of another dubious and unscientific mechanism they call “back radiation.” In no law of science will you have read of the term “back radiation.” It is a speculative and unphysical concept and is the biggest lie woven into the falsity of what is widely known as the greenhouse gas effect. 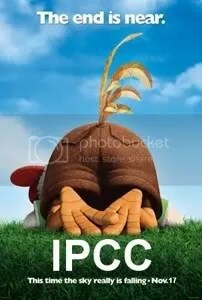 IPCC doomsayers claim it is under this “blanket” of CO2 (and other so-called greenhouse gases) that the energy absorbed by Earth’s surface from incoming sunlight gets trapped. But one other important fact often glossed over is that CO2 comprises a tiny 0.4% of all the gases above our heads. Nasif Nahle reminds us that this is a crucial point when considering the claims of the “grandfather” of the greenhouse gas hypothesis (GHE), Svente Arrhenius. When applying the GHE formula devised by Arrhenius, IPCC scientists appear to have forgotten that we must consider the proportion of carbon dioxide in the atmosphere, not the proportion of the whole mixture of gases. Even if Arrhenius was right about the GHE any change of temperature obtained from his formula is exclusively a change of temperature of the mass of carbon dioxide, not of the atmosphere. The trick of climate doomsayers is that they draw their conclusions obtained from the Arrhenius formula for CO2 (only 0.04% of atmosphere), then apply that change of temperature to the WHOLE Earth; this is bad science, or possibly fraud. Professor Nahle and his colleagues insist that in addition to the above facts the proven varying density of atmospheric CO2 also needs to be taken into account to show how IPCC scientists are guilty of the greatest scientific swindle ever perpetrated. From the NASA graph below (verify with link here) we can discern distinct and measurable regional variations in CO2 ppmv. So even NASA data itself further puts paid to the bizarre notion that this benign trace gas is “well-mixed” around the globe. NASA’s diagram thus not only proves CO2 isn’t a well mixed gas but also demonstrates that there is no link between regions of highest CO2 concentration and areas of highest human industrial emissions. Additionally, Nahle and his Slaying the Sky Dragon compadres demonstrate that carbon dioxide loses the energy it absorbs almost instantaneously, so there is no place for any kind of storage of thermal energy by carbon dioxide. To the more technically minded what Nahle and his colleagues say is that the release of a quantum/wave, at a different wavelength and frequency, lasts the time an excited electron takes to get back to its base state. [1.] In our “current environment,” atmospheric nitrogen and oxygen vastly outweigh CO2. Nitrogen: 3,888,899 Gigatons; Oxygen: 1,191,608 Gigatons; Carbon Dioxide: 3,051 Gigatons. On a weight basis the specific heat of nitrogen and oxygen together is approximately 1 per kilogram, whereas CO2’s is about 0.844. Thus it’s clear that everyday air has a better ability to hold onto heat. [2.] Professor Nahle, N., ‘Determination of Mean Free Path of Quantum/Waves and Total Emissivity of the Carbon Dioxide Considering the Molecular Cross Section’ (2011), Biology Cabinet, (Peer Reviewed by the Faculty of Physics of the University of Nuevo Leon, Mexico). Yes, even Rick Perry gets the climate change fraud. From the Dallas Morning News……. “The cost to the country and to the world of implementing these anti-carbon programs is in the billions if not in the trillions of dollars,” he said, and he would refuse based on questionable research. I’d say stick with trillions because that’s what the UN, via the IPCC, is trying to screw the globe out of. 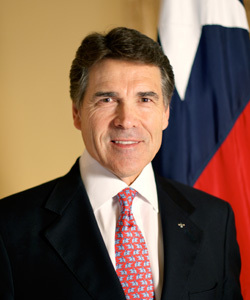 So, if you don’t want another greentard in the White House Governor Perry might be a viable candidate for your vote as he’s one candidate without CO2 Insanity.